Is it a church? Is it art? Is it both? 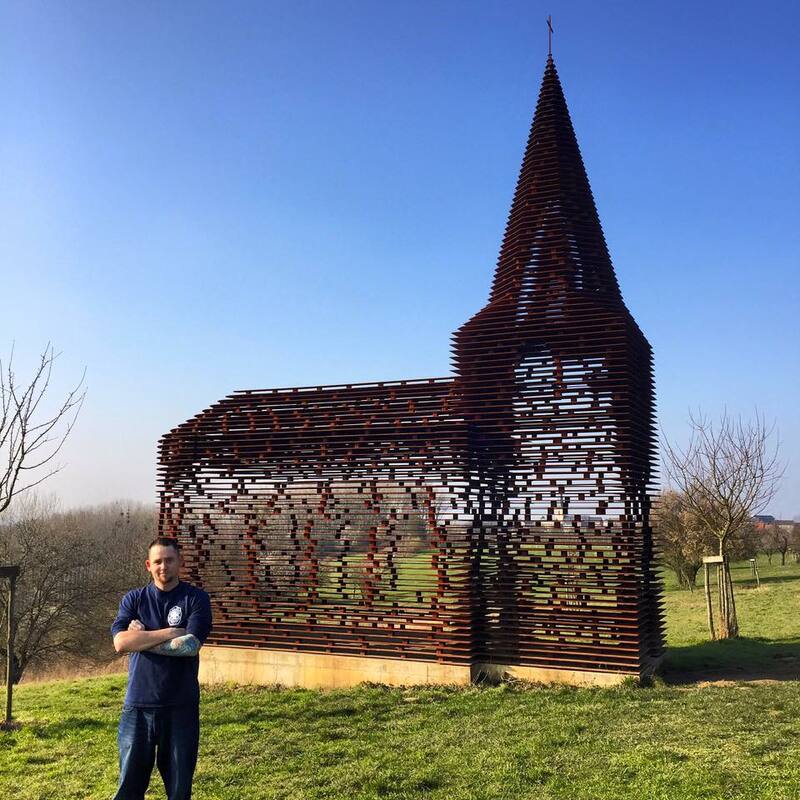 Built in 2011 in a field far off the roadways, is Gijs Van Vaerenbergh-designed art church known as Reading Between The Lines . 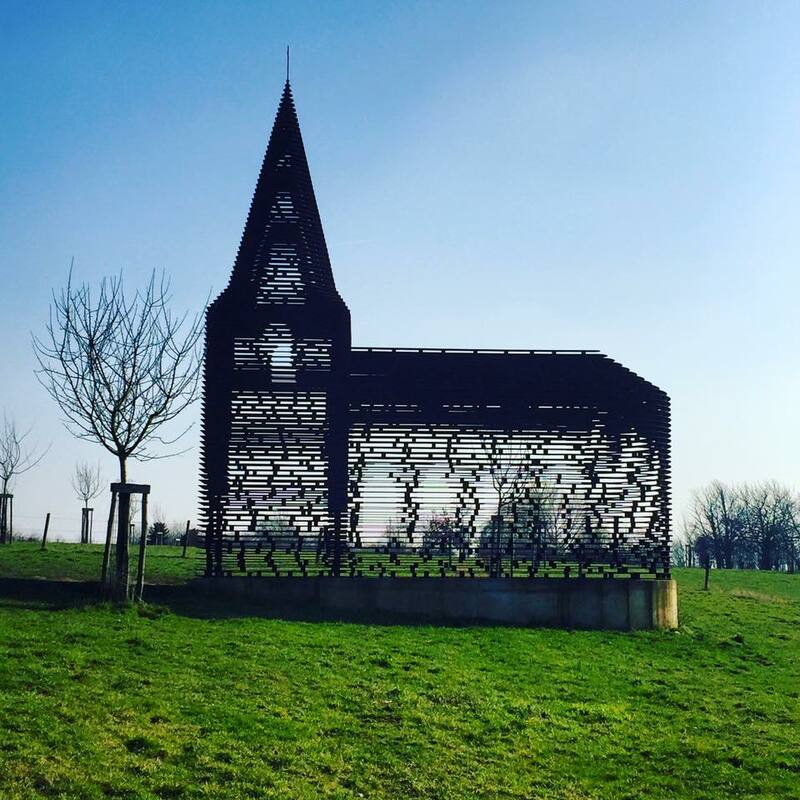 Basing their design on the traditionally built local chapel in Limburg, Belgium, the architectural duo created their church in 2011 in conjunction with the art museum Z33. The single-steepled house of worship is set atop a concrete foundation on which 100 layers of stacked steel forms create the semi-transparent walls. Each layer is separated from another by over 2,000 steel columns with a total weight of more than 30 tons. When viewed directly from any side of the church, its walls appear to be roughly see-through. However if the viewer sees walls from a higher or lower angle, the structure is suddenly solid.